Perfect family home that won't break the budget. 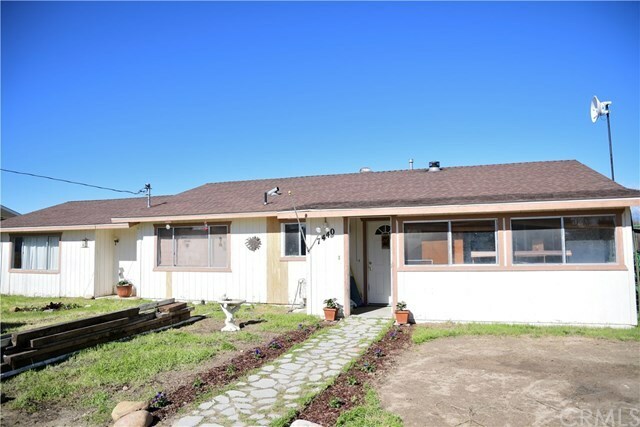 This 3 bedroom 2 bath home sits on 1 acre land ideal for animals, gardening, dirt bikes (possibilities are endless) and has a detached 576 sq ft shop with a window A/C unit. The property also has a large open shed. The front entrance of the home is a cozy enclosed porch surrounded with windows. Then you pass to the main home and are greeted by an open concept floor plan with an efficient wood pellet stove in the family room that can be used to heat the entire house. The formal dining room has its own space with a picture window. There is a small 4th bedroom or office as you pass into the huge master bedroom. The spacious master bedroom has a window facing the front as well as a sliding door to the backyard. Even the laundry room has views with windows over the washer and dryer that let you escape and enjoy the vineyards behind your backyard. Come and make your home in the country yet minutes from downtown Paso Robles.